This special cannot be used with any other promotional offer. Delta Plumbing Offers Senior, Military, & Educator Discounts! (not to be combined with other offers. Must be present at time of invoice. Additional charges may apply for leak location equipment, gaining access to leak or plumbing system, accessibility of leak or plumbing system. BIO-CLEAN is... a blend of bacteria and enzymes. The bacteria are natural, not genetically-engineered. The enzyme concentration is the most powerful on the market. SAFE Bio-Clean is non-poisonous. It creates no heat, no fumes, no boiling. It does not attack live tissue nor inorganic materials, only organic wastes like grease, hair, food particles, paper, cotton & sewage. This makes BIO-CLEAN safe for people, plumbing and the environment. 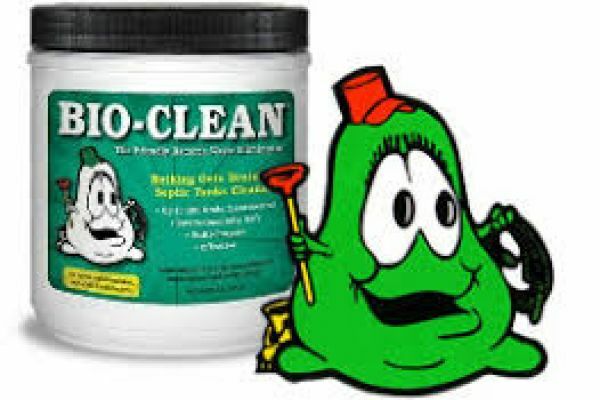 BIO-CLEAN changes the waste particles into water, carbon dioxide and mineral ash which run harmlessly out of your waste system. These elements are then available for plant life. EFFECTIVE Within an hour after pouring the bacteria into the drain, the bacteria begin to eat their way into the waste that has accumulated on the sides and top of the drain pipe. This is their natural food. They digest the waste and spread throughout your system, cleaning it completely.